It's Monday and I know that this is a little late going up. But better late than never I guess. 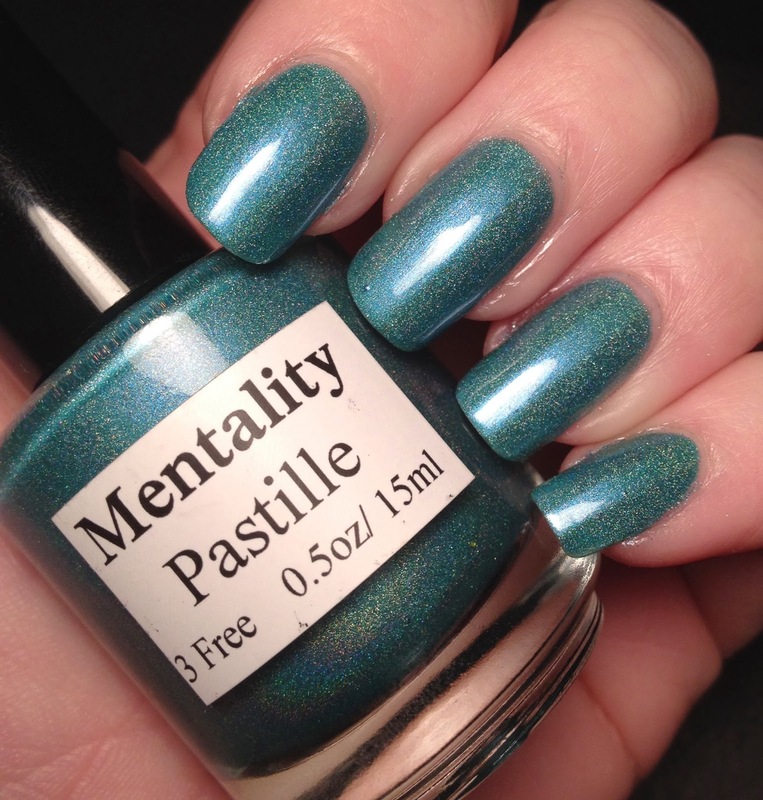 This is the last Mentality polish that I have to share. Cue the sad trombone. I will be ordering more because I can't get enough! The quality is amazing and the colors are awesome. 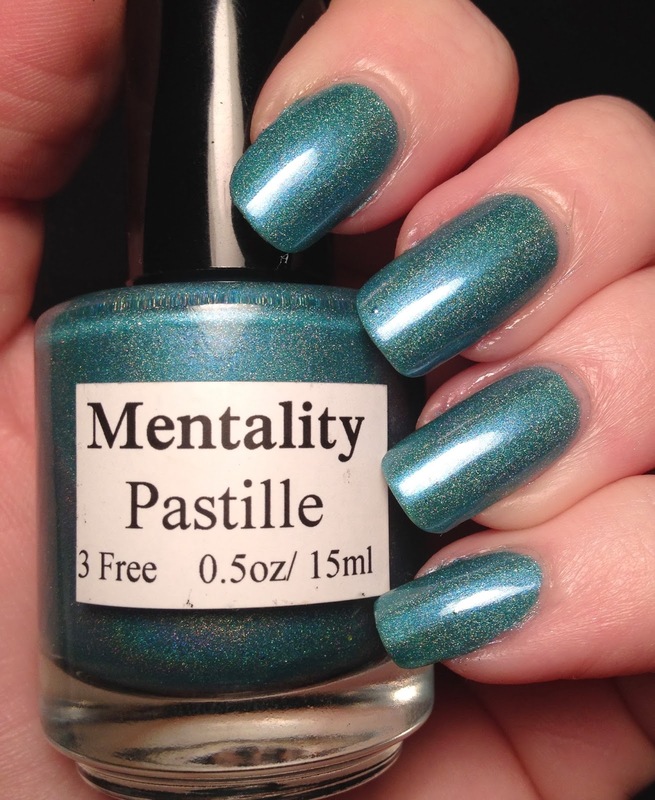 This is another one of the polishes in their Candy Jelly holo collection. A beautiful aqua holo. Three coats over Duri Rejuvacote and topped with Glisten and Glow HK Girl topcoat. This looks like a gorgeous polish! 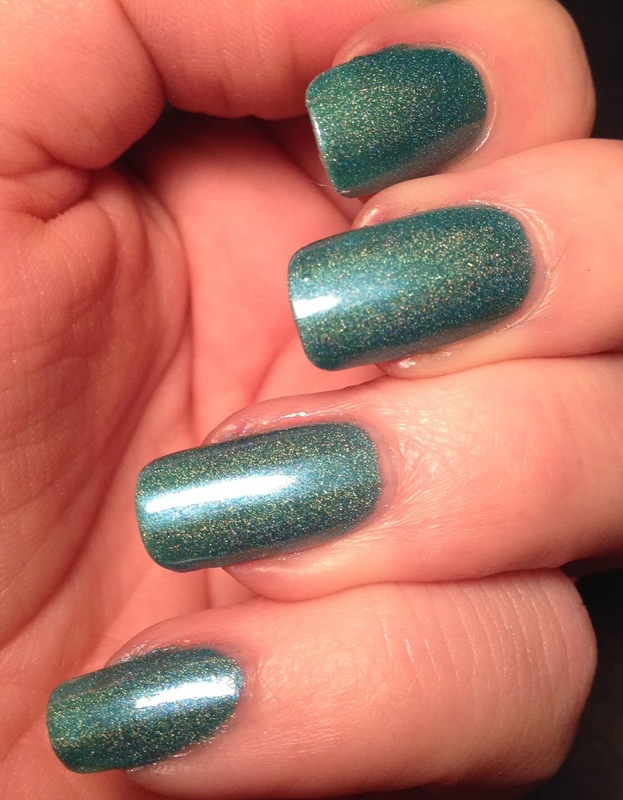 I love the aqua color and the holo effect is stunning!